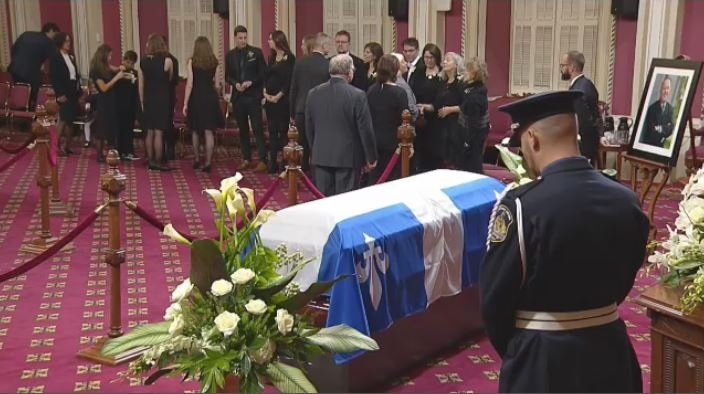 The casket of former Premier Bernard Landry will be on display in the salon rouge of the National Assembly in Quebec City, where well-wishers, family, and dignataries can gather and pay their respects to the recently-departed figure. Citizens will also be welcomed into the building during an eight-hour window on Saturday, from 10 a.m. to 6 p.m.
Landry passed away on November 6 at the age of 81, after a brief battle with a lung disease. The casket will also be exhibited in Montreal on Monday at the Notre-Dame Basilica. 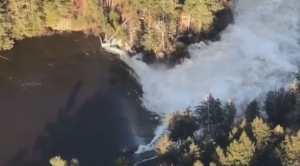 A state funeral will be held in Montreal on Tuesday. Landry's widow, Chantal Renaud, was present to greet the procession along with his children from another marriage - Julie, Philippe, and Pascale. Premier Francois Legault, attended the viewing with his wife Isabelle Brais. During a press briefing on the sidelines of the event, Legault stressed the influence that Landry had over his own career. Interim Parti Quebecois leader Pascal Berube also spoke of the former leader's contribution to Quebec's growth as a province. Flags at the National Assembly were lowered to half mast on Tuesday, and will remain that way until Landry's funeral.